: The Württembergian theater director and court poet, Christian Friedrich Daniel Schubart (1739-1791), published the article in his literary magazine in the first half of 1789. Therein the author criticizes female , which according to his point of view has expanded in circles of high nobility and among the upper middle class. His perception of women is consistent with the traditional perception of the woman’s role being that of wife, mother and housekeeper. Schubart utilizes the concept of Europe geographically. Indeed the text implicates an even wider European reference when the author declares that this development was throughout Europe during the era of Enlightenment, namely in the public space of a .
: Der württembergische Theaterdirektor und Hofdichter Christian Friedrich Daniel Schubart (1739-1791) veröffentlichte den Artikel in seiner literarischen Zeitung im ersten Halbjahr 1789. Darin kritisierte der Schriftsteller die seiner Ansicht nach in den Kreisen des Hochadels und des gehobenen Bürgertums ausbreitende weibliche . Sein Frauenbild entspricht der traditionellen Vorstellung über die Rolle der Frau als Gattin, Mutter und Haushälterin. Schubart verwendet den Europabegriff geographisch. Allerdings impliziert der Text noch einen weiteren europäischen Bezug, wenn der Autor feststellt, es habe diese Entwicklung überall in Europa im Zeitalter der Aufklärung gegeben, nämlich im öffentlichen Raum einer . 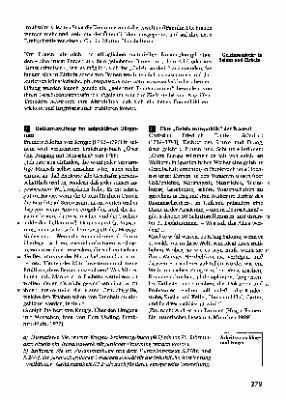 Abstract textbook: The document was published in the history textbook Geschichte und Geschehen that was designed for the use at theupper level of secondary school in Germany.It is incorporated into the two-page sub-chapter: and is the last article in the large thematic section on the modern state in absolutism and in the Enlightenment.